Set your sights on Indiana Dunes National Park, which preserves scenic waterfront on Lake Michigan at the north end of the state. Dunewood Campground is a good place to stay in the park, and there are several trails to explore, including the self-guided Dune Succession Trail, which depicts the ecological transition from sand dune to forest on the great lake’s shore. Indiana Dunes National Park became the first and only national park in Indiana in February 2019. The area was previously protected as Indiana Dunes National Lakeshore. 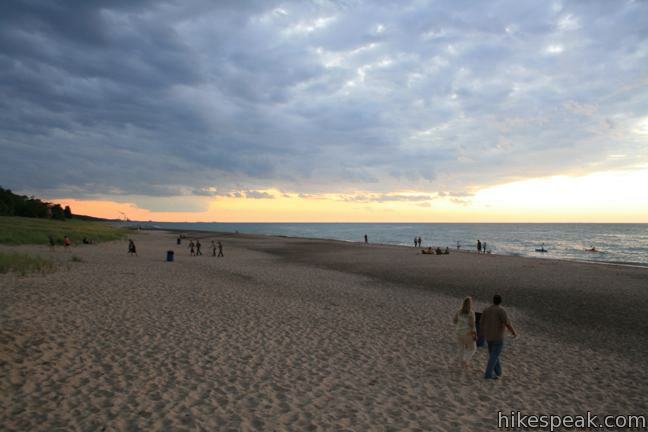 Indiana Dunes National Park protects 15,000 acres of lakefront, dunes, bogs, and marshes on the edge of Lake Michigan in northeastern Indiana. Dunewood Campground is the principal campground in the park with 78 sites (53 drive-up sites and 25-walk-in sites). The first-come first-serve campground is open seasonally from April to October. A drive-up site at Dunewood Campground Sites... Read more.